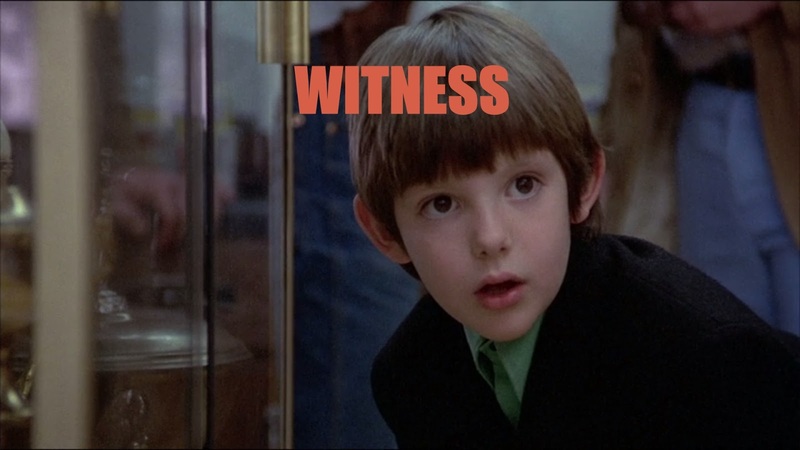 For this week's Hit me with your best shot, Nathaniel had us take another look at a 1980s classic - Peter Weir's "Witness". And it's a good thing we did, as I only had a faint recollection of the film as an underwhelming drama. But boy was I wrong, as this re-watch proved that "Witness" is really a strong film, especially for its richly fascinating screenplay which could have easily have been mistaken for a literary adaptation. Another standout aspect is of course, the megastar at the center of this drama/thriller/romance - Mr. Han Solo/Indiana Jones himself. In what would become Harrison Ford's first and last Oscar nomination (surely a surprise given his popularity at the time), his role is a genius bit of casting. Playing a city cop who hides out in Amish Country during a particularly nasty corruption case, he embodies the central culture clash that emerges in the narrative. Indeed, he delivers such an undeniable MOVIE STAR performance that he naturally stands out among a more docile environment and characters, leading to my choice for best shot. In this image, Ford's John Book is literally on the outside looking in on Rachel (Kelly McGillis) and her quaint domestic life. To the film's credit however, it manages to give a balanced view of Amish life as a completely foreign concept yet one that has its attractions. 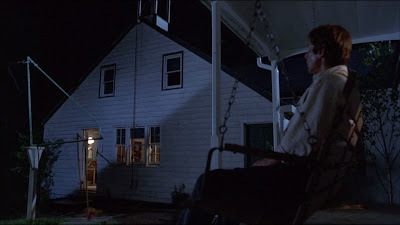 Just like the warm light emanating from the plain home we see in this shot, the society feels welcoming. We may not come away wanting to run away from our modern world, but we get an appreciation for their high value for family, community and most importantly, peace. 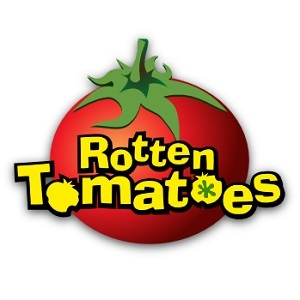 "To the film's credit however, it manages to give a balanced view of Amish life as a completely foreign concept yet one that has its attractions." THIS. The film really is a very strong piece of work, incredibly balanced in a way I wasn't expecting. It could have easily been exploitative in many ways, but it's not AT ALL. And you're right about Ford, of course. Perfect movie star performance, and a real shame it's his only Oscar nom.